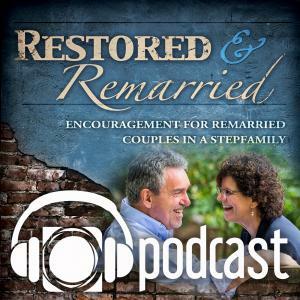 Ready for some refreshing encouragement for your remarriage and stepfamily? How is Velcro like your marriage? Gil and Brenda interview Jed, author of 12 books (with Jenny too! ), a therapist, psychology professor, and a stepdad. So many nuggets of wisdom are shared here! 131 Conversations for Stepfamily Success is so helpful and his newest book, Happy Skills for Happy Kids is a must. It’ll help kids (and adults) learn how to manage stress and anger!